Home of the Bozeman Roundup, Gallatin County Fair and the Wild West Winterfest, the Gallatin County Fairgrounds has been serving as a community, state and regional event facilities since 1903. 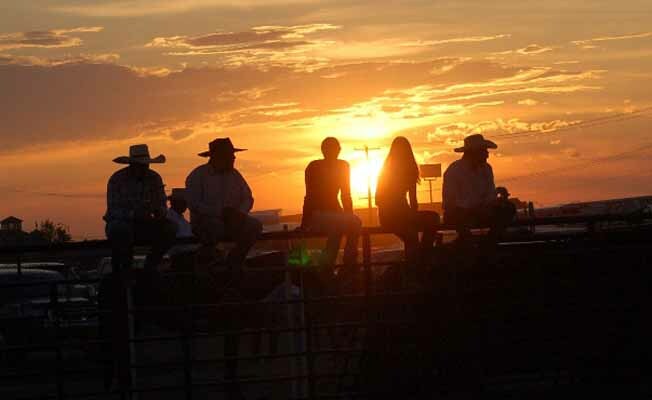 The County Fair and the Bozeman Roundup Working Ranch Cowboys Rodeo take place each July and draw upon our western lifestyle and rural heritage, which is mixed with some modern entertainment and educational activities. Wild West Winterfest held on President Day's weekend in February, features contests, exhibits and entertainment that showcase's Montana's Winters and Agriculture. The Fairgrounds facilities are available for private and/or public events throughout the year. There are four exhibit buildings, a full service commercial kitchen, horse barns, indoor and outdoor arenas, cattle barns, park and playgrounds, full RV hookups, large covered pavilion used for hockey in the winter and concerts, trade shows and Farmers Markets in the summer. The Motor Sports area is used for motocross, Tuff Truck contests, Mud Bogs, Demolition Derbies, SnowCross Races and Auto Ice Drag Racing. The Gallatin County Fairgrounds is also the home of the Bozeman Bucks American Legion Baseball Team, the Bozeman Amateur Hockey Association and the Bozeman Rifle and Pistol Club indoors shooting Range. There is always something happening at the Fairgrounds from weddings to antique shows, guns shows, equine events, gem and mineral shows, and livestock shows. There is never a dull moment at the Gallatin County Fairgrounds.